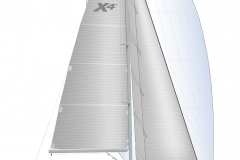 Following on the success of the X43 and the X65, X-Yachts recently launched the new X49 at Boot Düsseldorf in January 2018. 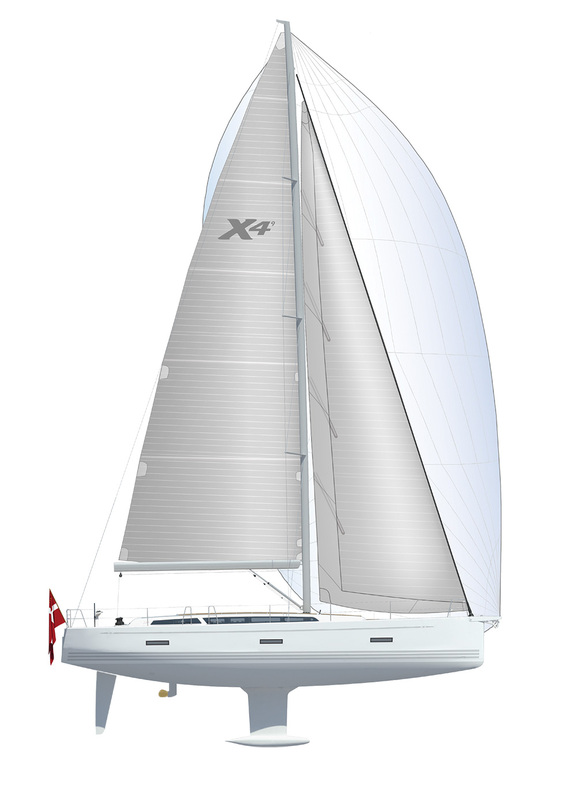 The X range displays a true embodiment of the key features which set X-Yachts apart from the competition. The new X49 offers a wealth of features which enables the crew easy handling in all conditions. Whether doing family sailing trips, long distance blue water cruising or competitive sailing, the X49 offers the best combination of everything X-Yachts has developed over the years. As you step below deck you will notice the spacious entrance with laminated raw teak steps, to prevent slipping, and elegant laminated teak handrails. The main saloon features a U-shaped sofa to port with options for either a pouffe or a pair of X-Yachts ‘Design 1999’ chairs. The table is a beautifully crafted piece of veneered furniture, including a laminated edging. 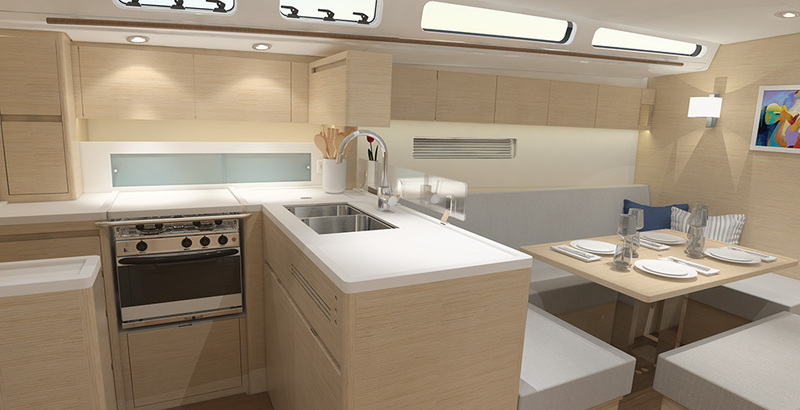 The hull portlights, along with the 2 large deck hatches allow for plenty of light for a spacious and airy environment. 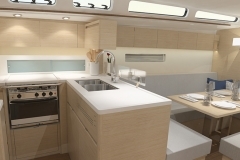 The galley comes as standard with large double pull-out bins, full pull-out drawers, top loaded fridge with gas strut, double sink, space for additional front loaded fridge, 3 burner gimbaled Eno oven, space for optional Nespresso coffee machine, space for optional microwave oven and plenty of storage space for cooking utensils, food, crockery and cutlery. The forward facing chart table version has space for an optional 9” chart plotter and additional communication and sailing instruments behind the top hinged doors. From 2019, the X49 will be offered in an aft facing chart table version, which includes a separate shower adjacent to the aft head compartment. The owner’s cabin is large, spacious and bright. To starboard a large double wardrobe with shelves and drawers as well as ample space for hangers. The large centre berth, has storage below accessible via two large gas strut supported top lids. Below are two large drawers. A stiff/strong hull built in epoxy, infused and oven baked. Powerful and efficient hull and appendage design. Light ends, central located tanks and batteries, minimizing moments of inertia in waves. Steel hull girder ensuring the safest and most durable keel attachment. High stability due to low centre of gravity, heavy keel lead bulb, lower position of tanks (below floor boards). Perfection of appendages shapes (encapsulated keel template). Minimal drag (all hull fittings recessed, folding propeller standard, optional antifouling spray applied). 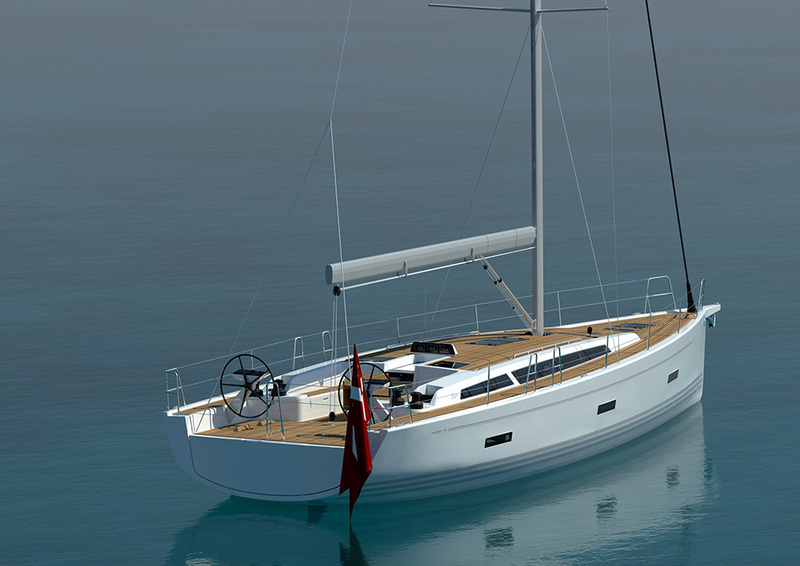 Keel stepped mast, hydraulic backstay and 3 spreaders for minimum windage and maximum rig control. Discontinued rod rigging (minimizing windage and stretch). The X49 welcomes you with lots of new ideas, light and ventilation. There are a number of layout options available, all beautifully presented in a modern and internationally recognizable Danish style and quality. 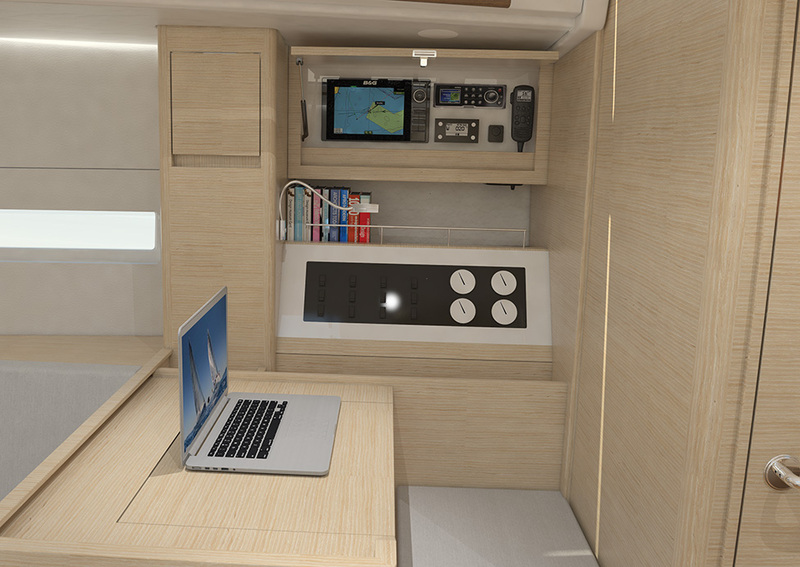 The port aft cabin, slightly larger than starboard aft cabin, is offered as standard with a large double berth. 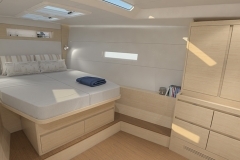 It is also available with either standard twin berths or twin berths with the ability of converting into a large double berth using a cushion which fits in the space between. There is an option for an additional shower in the aft heads when the backwards facing chart table is chosen. No Replies to "X4(9): New for 2018"